The MTC's Operations Committee is meeting this Friday morning and Clipper will be a topic of discussion. As of October 2011, Clipper has surpassed the average number of weekday transactions goal of 500,000. The number of transactions has doubled in just one year. 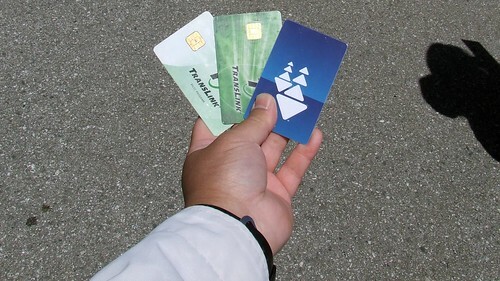 There are over one million active Clipper card accounts as of October 2011. This has nearly tripled in the last 12 months. Interestingly, the number of registered Clipper cards has dropped dramatically. Last year, nearly 80% registered their Clipper card for benefits like balance restoration. But with the growth of the Clipper card and people making the decision to use their card anonymously, the number has dropped by nearly half. Have you ever wondered, how many people use the autoload program? The statistics show that less than 40% are enrolled in the program, even though the number of users has increased and mandatory enrollment for those who transitioned from BART's EZ Rider HVD ticket program. But while the percentage of users is very slowly growing from a year ago, the number of autoload transactions has doubled. --October 2011: 39% of cards enrolled w/autoload, 219,568 autoload transactions for month. Just how many people call customer service in a month? It's over 30,000, but there was a huge spike in September 2011 of phone calls. What's really interesting is that back in October 2010, there was three times less Clipper cards in active use, but maintained the same number of phone calls in comparison to October and September 2011. In summary: Clipper continues to grow as passes and tickets switch over, but it is good to see people are not calling customer service as often for help. I'm guessing the population is getting used to using their Clipper card, knows where their nearest retailer is, and improved maintenance of the service. In a shameless move, I should also get credit for informing the public too, right? They are planning to approve to renew contractors for public relations firms. The public relations firms the MTC hires does the publications, promotions, tabling, educating, sign-ups, and others. Um... can I get a contract too for blogging on Clipper? I'm low cost! This is just a usual meeting for Clipper. I don't think there will be much new news these days as Clipper advances towards their next goals: Transition of all Samtrans passes and BART HVD tickets to Clipper only.